This entire article is a bad attempt at getting my Lego-related joke published. If you or the kids like playing lego, have a butchers at this thing. Anyone remember the Fun Time Friday feature we used to do back in the day? Let’s bring it back shall we eh? It’s basically a set of removable bricks which you can stack and shape you can stack it as you wish. The PR people, who have just delivered several boxes of ale to my house purely because they like me, have tempted me in with lines like.. This hip home gadget is great for kids and adults alike! Get inventive with this rad retro lighting. Yeah, hip and rad, man. Look, I’m in my late 20’s (ahem) and even I know that nobody says that any more. 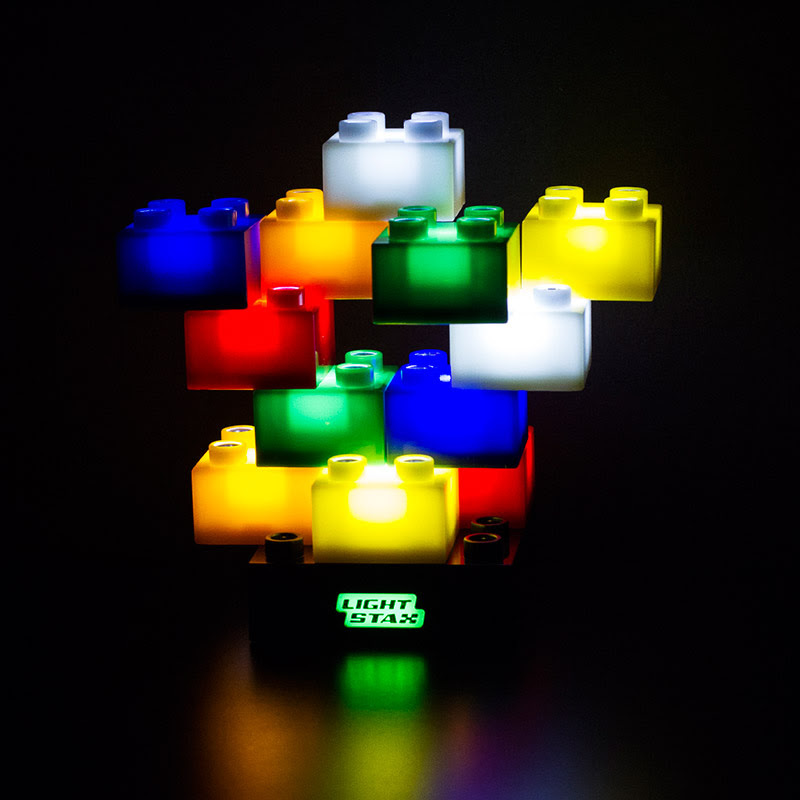 Either way, there’s 12 multi-coloured bricks and the light comes via a rechargeable or battery powered base which has 4 settings. 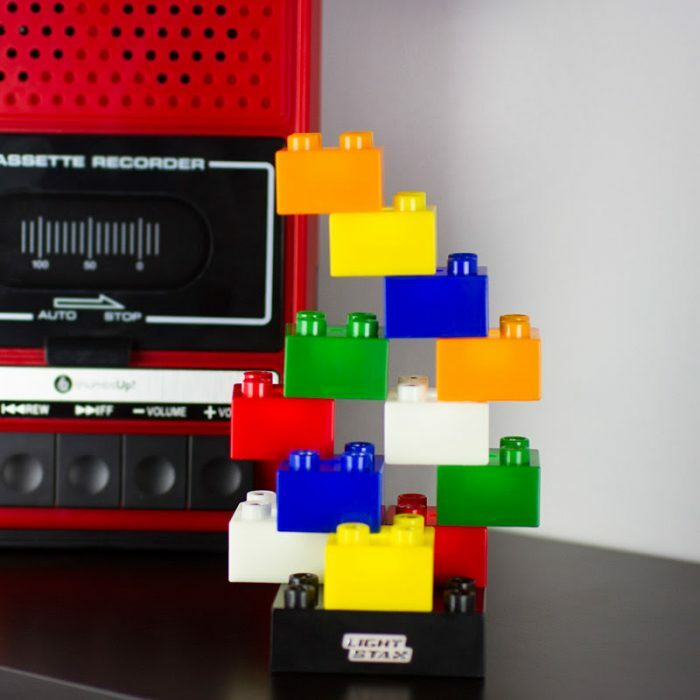 You can have your lego bricks fading in and out, continually lit and off. It’ll also flash too, so you can have a home disco in your room. Right now my OCD is going WAY OFF THE SCALE because the top three bricks clearly have no proper support and are going to fall at any minute. (Note to self, try to work in something about how it aids cognitive development, boosts creativity and imagination. Yeah right. Pffff… Oh, and don’t publish this bit, because people might find out that I write notes to myself in articles and that’s a bit weird). If you want these LED lego bricks, you’ll need to front up £17.95 at Prezzybox.com. I’m still waiting on the PR emails from Ferrari, but they never arrive. Oh, while I’m here, I was in a play yesterday when I forgot my lines. I’m just glad I said something constructive. Is that a PC in your pocket? Or are you just pleased to see me?